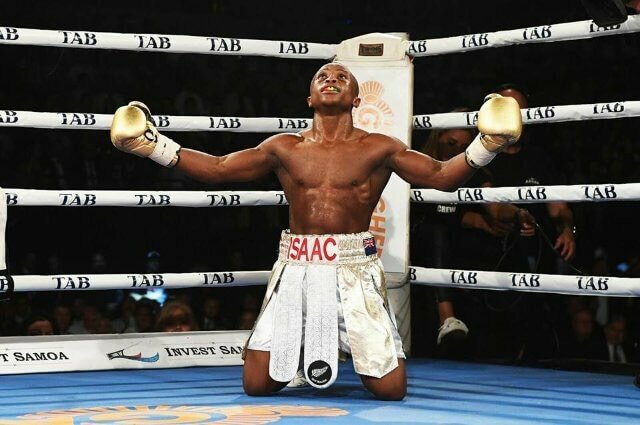 We are proud of Isaac Dogboe. Ghanaian boxer, Issac Dogboe produced a world-class performance. Furthermore, he knocked out American Jessie Magdaleno to win the WBO World Super Bantamweight Title. The fight happened in Philadelphia. The 23-year-old becomes the nation’s youngest ever world champion. Moreover, he surpasses the feat of Ike Quartey who did it at age 25. However, Dogboe did it the hard way. He was knocked down for the first time in his career in the first round of the bout, with a fantastic combination of punches from the American. Moreover, he managed to beat the count and saw off the rest of the round. After, in round 10, the Ghanaian inflicted powerful shots to the body of his American opponent. Dogboe delivered a strong right hand which shocked Magdaleno. This caused him to retreat to the corner. Moreover, this allowed Dogboe to rush in and wear him down with a series of combination punches before the bell went. In the 11th round, Dogboe delivered a knockout punch. The referee waved off the bout. This caused wild cheers in the Dogboe corner.